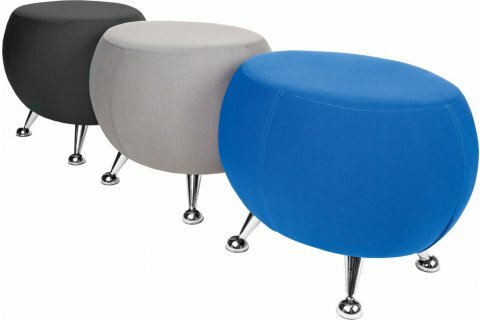 Jupiter Soft Seating Stools and Tables have a fun contemporary style that is perfect for a corporate breakout area, school commons space or library. A divot in the side of each stool and table creates a modular design that allows flexible arrangement and nesting. Whether it’s time for group collaboration, independent studying or a much-needed break, a comfortable layout can be set up easily.Soft seating stools and tables offer the comfort and aesthetics you need to get the creative juices flowing. 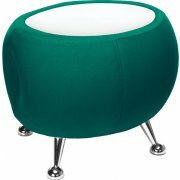 A contoured design with ample padding provides cozy seating. Matching tables offer convenient writing surfaces and coordinate perfectly with stools. Create an inviting and cozy space anywhere you want with this cushy contemporary lounge furniture from OFM. Versatile: Cool contemporary shape fits right into modern libraries, commons areas and corporate collaboration spaces. Modular Shape: A side divot allows easy nesting and unlimited group configurations. 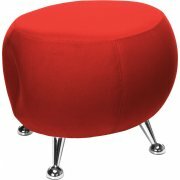 Comfortable Seat: Ample padding keeps you comfortable while you work or relax. Perfect Coordination: Tables fit right in with soft seating stools. Complementary Design: Chrome feet complement any upholstery choice. No Hassle: Comes fully assembled.